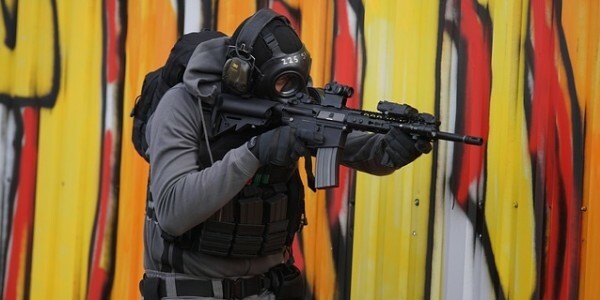 Airsoft is a great way to experience some shooting action and teambuidling, that doesn’t involve hunting. It is for those who enjoy practicing shooting at targets or just want to have some fun with their friends. Basically, the guns used are just a replica of actual firearms, and they are used in airsoft sports. You can’t get into the game without proper equipment, so it only makes sense that you are browsing the market for the best airsoft deal out there. Maybe you’ve been thinking about airsoft for a while, but the fact that you’re also putting things in practice says a lot. If you wouldn’t have developed a passion, maybe the hype would have passed already. However, if you’re really serious, you will do whatever it takes to fulfill that need. So, do you need to buy an airsoft gun? Yes, you need this if you get yourself all excited every time you talk about this game. You may be thinking about doing it in your free time, but you know you are really passionate about it when you want to know everything about it. Airsoft may not be actual hunting, but it still requires some training and skill. That being said, before entering the battlefield, you need to get ready for it. You can start by looking for the airsoft gun that you’re going to use. Search for one that is of high quality. Their prices can start at around $100 and go up to $500, and as expected, the most expensive ones are the better ones. At the same time, if you’re a beginner, you don’t need the best airsoft gun on the market because you have to get used to it. If you want to suddenly learn about the airsoft gun quality, way of use, as well as the airsoft sport, it means that you’re starting to develop a passion. Usually, a passion manifests like an obsession. You want to achieve everything to the point you’re obsessing over every piece of information about that thing and end up digging deeper. In other words, you are not just reading articles about the best airsoft guns for beginners or how to start training. You go back and start reading about the history of it, how it all started, who was behind it, and what was the purpose. This is a high indicator that you are being serious about airsoft and don’t want to miss anything regarding it. Looking for individuals that are familiar with the subject is one of the best things you could to do to ensure that you can do what you love. If you are looking for experts and ask them for advice regarding this area of interest, you may have found your love in airsoft sports. Whether you’re just training with some targets on your own property or you’ve already entered the battlefield, your love for this sport wouldn’t be hard to tell. When you’re doing something that you enjoy, time seems to be against you and it goes by much faster than you’d want it to. So, if you start shooting BBs at targets, and one minute later you’re told you have to leave the place, this means that you had an amazing time. Losing track of time shows that there’s a good chance you really found something that makes you happy. When you like something so much that it makes you happy only thinking about it, you want those around you to show the same amount of interest. Sadly, that is not always the case, and when it comes to airsoft, not everyone will be into it. Despite not being real weapons, some people can’t stand the idea of using guns for fun. If the fact that your close ones seem uninterested when you talk about airsoft upsets you, there’s a good chance that you are really enjoying this hobby. Some people get so excited over certain things that they can’t sleep over them. It may not be a good thing, but it’s a clear indicator that your airsoft love may be higher than you’ve thought. You should try to measure your excitement level to really tell whether it’s an actual passion or just something that will pass over time. Start training or doing something related to airsoft and see how easy it is to forget about it once you’ve completed the task. If it’s still not easy to forget about shooting targets, then you might have found your true passion. Finding time when your schedule is already full may be really difficult. However, if you always find some time to train your airsoft skills, it’s a clear indicator that you are serious about your hobby and strive to become better. Otherwise, you’d make excuses and neglect your passion, falling behind as a result. Everyone has passions but being into airsoft is a unique one. There aren’t so many people that would rather shoot BBs at the target instead of doing something else. Telling whether you’re infected by the airsoft fever or not is not that difficult. There are signs that show you how passionate you are about it. If you read a lot about airsoft, including articles about it’s history, or if you always make time for it, check hundreds of YouTube movies, look for guns or get excited about it, it means you are infected with the airsoft fever. So, if you wanted to know why you’re always thinking about airsoft or why you are experiencing any of the explained behaviors when it comes to this sport, the answer is clear. You, my friend, have a profound passion for airsoft! Get involved with your local team(s) and fields to go ahead. Maybe check and join your national association. And fare most important, spread to love for Airsoft and enjoy!